Every now and then comes a film that connects with the audience so well that they don’t feel like watching a film but an adventure. Adnan Sarwar’s Motorcycle Girl is one such film that keeps you engaged from the first scene till the climax. It is not only about a girl who defied all to ride a bike but also about her journey of self-discovery that takes her from the doors of her house to the open world where beauty lies everywhere. It might be a small-budget film but it has a heart and soul which is something other Pakistani films lack big time. 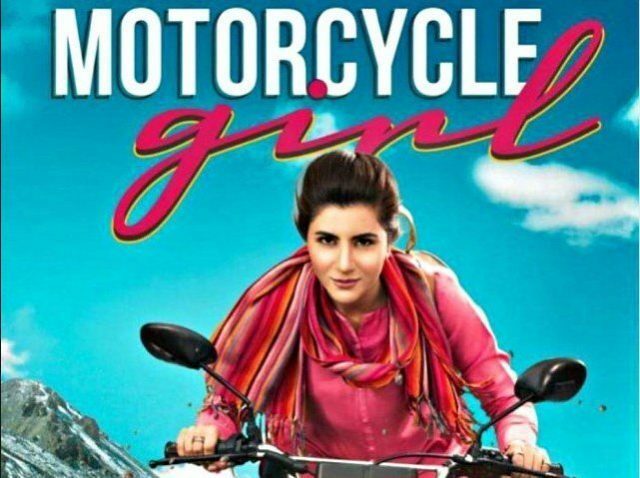 Zenith Irfan (Sohai Ali Abro) wants to fulfill her father’s dream of going to the Khunjrab Pass on a motorbike but she is unable to do say due to her 9-5 job, her responsibilities at home, her noisy relatives and her inability to ride a bike. After she learns to ride a two-wheeler, Zenith defies all to fulfill her passion and go on a journey of self-discovery where she gets to learn a lot of things including the beauty of the Northern Areas, the open-minded people, and freedom. The film belongs to Sohai Ali Abro who carries it on well on her shoulders. Samina Peerzada, Ali Kazmi, Shamim Hilaly and Adnan Sarwar were good in their respective roles as was Sarmad Khoosat as the mean boss. The credit sequence where you get to see the real Zenith at historical places is a treat for the eyes as is the natural beauty of Pakistan. Girls especially would try riding a bike once they get to watch the film and if that happens, everything the filmmakers wanted to achieve will be nearly achieved. There was no background score in most parts of the film and that comes out as an inconsistency; songs were scarce while some of the scenes – the important ones – in which the Visual Effects weren’t up to the mark. Yes, there must have been mishaps during the making of the film but that’s something that shouldn’t have been an issue. The pace of the narrative was slow at times, there were toilet jokes that could have been avoided – they come abruptly in a storyline which addresses the life and times of a young girl who came, who rode and who conquered it all. If this film doesn’t make you want to take a trip to the Northern Areas, then this film is not suited to your likes. Most of the people who saw the movie clapped at the climax – not because of the twist in the tale – but because of the way it was executed. With Jami as one of the backers, the film was always supposed to do well but with excellent cinematography, stellar acting and a narrative that supports a movement, the film will surely do well in coming days.